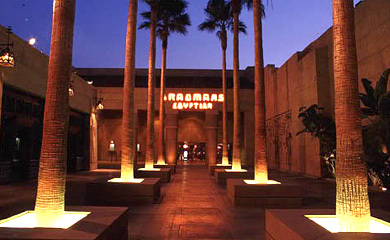 The Egyptian Theatre was built in 1922 by Sid Grauman, it's one of the world's most famous movie theatres, and also the site of the very first Hollywood movie premiere, Robin Hood with Douglas Fairbanks. It's located at 6712 Hollywood Blvd, a 20 minute bus ride from LSI's Downtown Campus. Tours are available once a month.